The program is coordinated by Conservatorio Niccolò Paganini (Genoa) with the participation of Bilgi University (Istanbul), Istanbul Technical University State Conservatory (Istanbul), Universitat Pompeu Fabra (Barcelona) and Conservatorio Statale di Musica “G.P. da Palestrina” (Cagliari). Each institution brings their own expertise to the project such as (acoustic/electronic) musicianship, composition, ethnomusicology and music technology. The program will last three years, organizing a summer school in a different country and with a different focus each year. This was the first summer school and it was held in Genova, at the Conservatorio Niccolò Paganini. The musical focus was makam music of Turkey and because of this a number of CompMusic people were involved. We were 8 people from MTG. Xavier and I gave lectures and workshops, while Sankalp, Ajay, Gopala, from the CompMusic team, and Nadine Kroher, Felipe Navarro, and Robert Clouth from the SMC master were involved as students. I gave a lecture on information techniques applied to makam music of Turkey and another on the pitch analysis of makam music of Turkey. In his lectures, Xavier explained various topics such as Catalan folk musics, general MIR and Freesound. 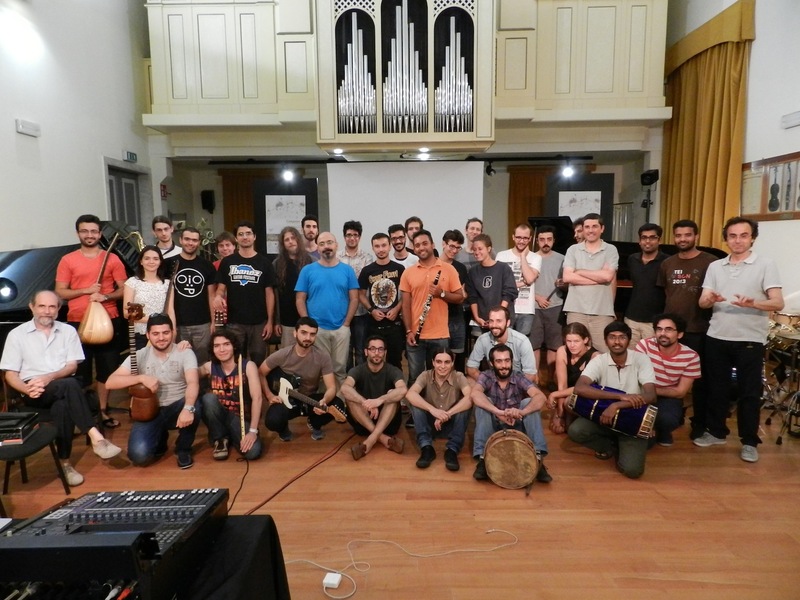 We also recorded the student musicians from the Istanbul Technical University State Conservatory [Link]. The recordings showcase kemençe (Neva Günaydın), ney (Albülkadir Çolakoğlu), tar (Emre Eryılmaz), extended bağlama techniques (Ufuk Elik) and folk music vocals (Seval Eroğlu). During the second week of the program Gopal and I analysed the prominent melody of these recordings using the Melodia  implementation of Essentia  and presented them using the Makam Toolbox . The recordings show some of the most peculiar aspects of expressivity in different styles of makam music of Turkey. During the classes, we faced a recurring theme: "What to name the makam music." The musicians from Turkey and the Europeans called the tradition as “Turkish music,” Tolgahan Çoğulu from Istanbul Technical University State Conservatory was naming it as “Ottoman classical and Anatolian folk music” to emphasize multiculturality, whereas in my presentations I used the term “makam music of Turkey,” which I find politically more neutral (yet somewhat ill-defined). Tolga Tüzün from Bilgi University explained the nationalization process after the French Revolution and how the nations tried to re-shape culture and esthetique within the nationalistic and racial boundaries. He also gave examples of the efforts made against the makam music during the nationalism process in Turkey. A discussion of these terms is outside this blog post (and outside the research interests of CompMusic). Moreover, I don’t think it is within my responsibility or capability to single-handedly discuss these issues. However, I personally regret that there has not been any serious socio-political and musicological research surrounding this terminology. Having said that Martin Feldman  could be a good starting point to learn more about how the music is (attempted to be) shaped within political and sociological terms. The concert took place at the Genoa harbor, in Piazza delle Feste – Porto Antico on July 27th. Tolga Tüzün from Bilgi University and Robert Doati from Conservatorio Niccolò Paganini conducted over 30 performers during the concert. It was amazing to see people with very different points of view working together towards putting together a coherent, interesting and absorbing concert. In the concert Sankalp processed cello sounds, Ajay played mridangam while Robert was processing the mridangam sounds. 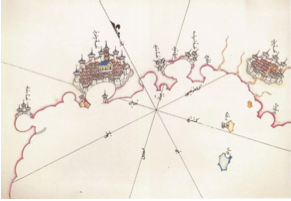 Nadine used Sinan Bökesoy’s Cosmosƒ software and generated “harbor” soundscapes. I particularly liked the contrasts built by the traditional makam instruments, especially the question-answer phases between Neva Günaydın (kemençe) and Federico Bragetti (cello) with Sankalp’s processings and the soundscape created by the taksims of Aldülkadir Çolakoğlu (ney). The project will continue for two more summers. Most of this year’s performers will also perform at the Venice Biennale in September 2014. Next July, GEO-IP will be organized by UPF and will be focused on Sardinian and Lugurian music. Personally, I am happy to get involved in an electroacoustic music event. During my masters, I really enjoyed assisting and performing in such events, yet I didn’t have any chance in my first two years in MTG until GEO. 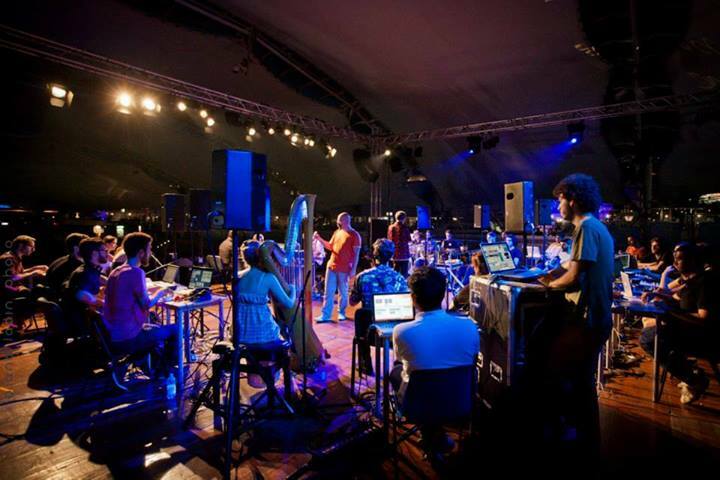 I am looking forward to listening the next edition of the Galata Electroacoustic Orchestra. J. Salamon and E. Gó́mez. Melody extraction from polyphonic music signals using pitch contour characteristics. IEEE Transactions on Audio, Speech, and Language Processing, 20(6):1759–1770, 2012. D. Bogdanov, N. Wack, E. Gómez, S. Gulati, P. Herrera, O. Mayor, G. Roma, J. Salamon, J. Zapata, and X. Serra. Essentia: An audio analysis library for music information retrieval. In Proceedings of ISMIR, 2013. Ali Cenk Gedik and Barış Bozkurt. Pitch-frequency histogram-based music information retrieval for Turkish music. Signal Processing, 90(4):1049–1063, 2010. Walter Feldman. Cultural authority and authenticity in the Turkish repertoire. Asian music, 22(1): 73-111, 1990.